SURREY — Ask Sunny Uppal about his days playing under the most decorated coach in the history of U Sports men’s soccer, and one thing stands out above all others. 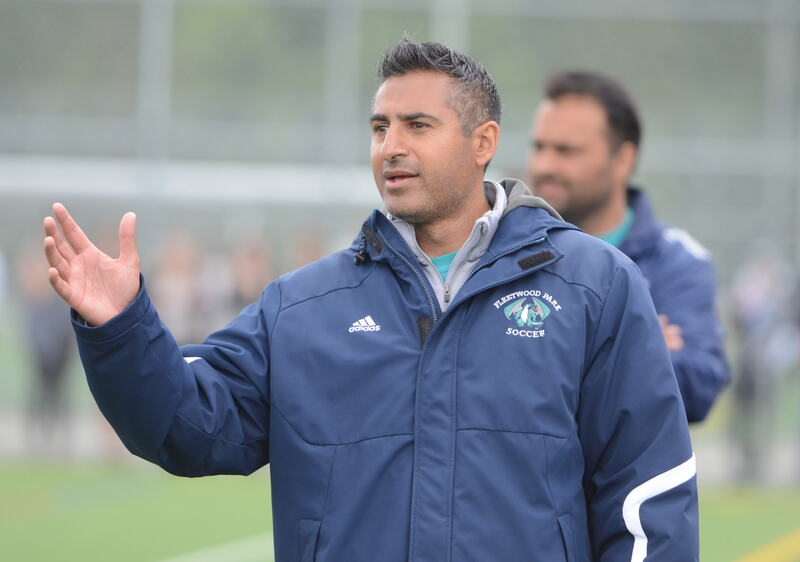 As all of that applies to the fortunes of the Fleetwood Park Dragons senior girls soccer team, which Uppal has built into a provincial powerhouse over most of the last decade, truer words could not be spoken. Surrey’s Dragons have played in the top-tiered B.C. Triple A championship final game a record five straight seasons and counting, and with a senior-laden team in 2019, it’s hard to bet against Uppal’s squad from making it a half-dozen straight appearances. 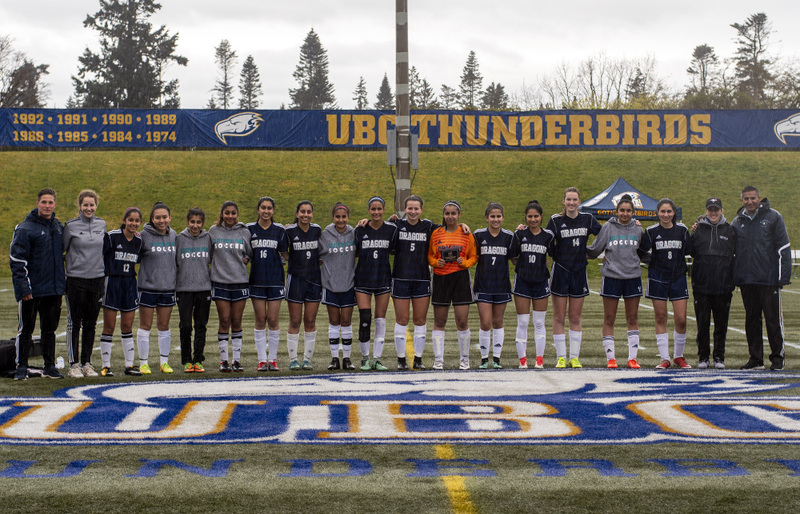 Last Friday, behind goals from Grade 12’s Simran Billen and Jenieva Musico, and another from Grade 9 Tahira Khan, the Dragons blanked North Vancouver’s Argyle Pipers 3-0 in the championship final of the UBC Thunderbirds Invitational. On Monday, as the first set of B.C. Triple-A Top 10 rankings were released, Fleetwood Park found itself slotted at No. 2 behind the team it lost to in last season’s provincial final, Coquitlam’s Centennial Centaurs. Once again, it looks like the Dragons have put themselves right in the thick of the mix to win what would be a third provincial title in six years. The added layer of dramatic intrigue, one which would truly paint a provincial title as a storybook finish for the team’s nine seniors? Fleetwood Park will, for the first time since 2012, play host to the provincial tournament. “So many of the girls are in Grade 12 this year and only they know what it’s like to lose in three of the last four finals,” continued Uppal of a Dragons’ program which won it all in 2016, but has finished second in each of the past two seasons. Fleetwood Park also placed first in 2014 and second in 2015. Billen and Musico have been with the program since their Grade 8 years back in 2015, while Nikki Virk, Karmin Dhindsa, Emily Mackenzie and the currently-injured Sarah Tortora all came aboard the next season as ninth graders. And that old saying about winning being a habit? When push has come to shove the past two seasons, no one in all of B.C. high school sports has better exemplified it than these Dragons. 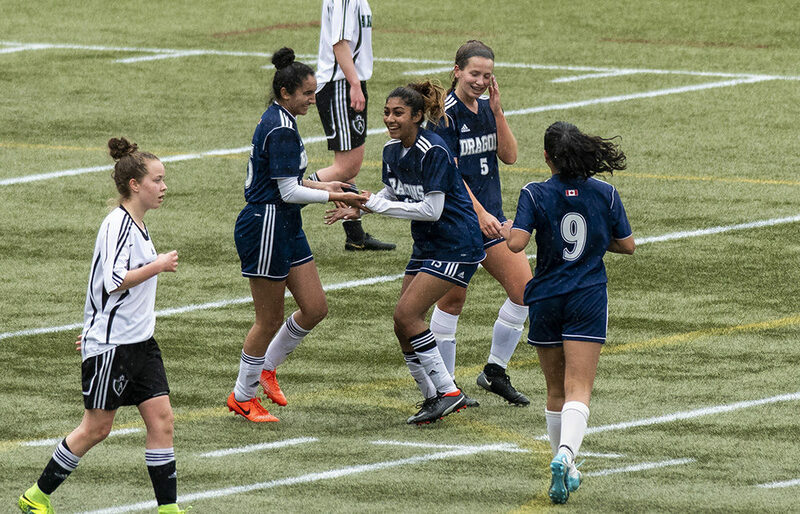 Two seasons ago, Fleetwood Park claimed the seventh-and-final Fraser Valley berth to provincials and wound up going right to the title game where they lost on penalties to crosstown foe Panorama Ridge. 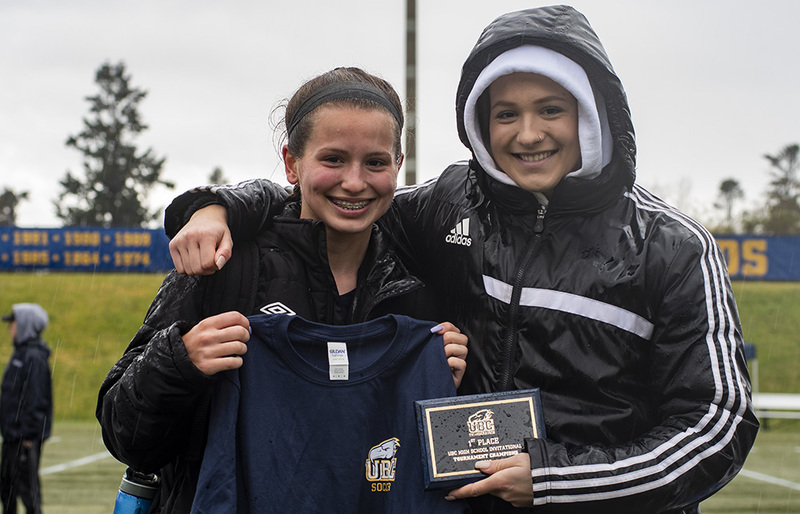 Last season, they were the Fraser Valley’s sixth seed and had not a single Grade 12 on their roster, yet they beat South Delta in the provincial semifinals on penalty kicks, then lost 1-0 to Centennial in a gold-medal classic decided with two minutes left in overtime. The 2019 B.C. tournament was supposed to be played in the Okanagan zone over the final week of May. Especially since the May 29-31 tourney will be played at Cloverdale Athletic Park, the site of so many Surrey United games, the club which many of the Dragons’ players also belong.